Moms and dads, start your engines—literally. It’s just about time to load up the car and start moving those boxes of cookies that fans clamor for year after year, right around this time. With visions of shortbread, chocolate mint wafers, peanut butter crème, and caramelly goodness dancing in your head, you might be thinking, “How do we get rid of all these boxes, and pronto?” At the same time, we’d encourage you to use this season as a way to bond with your daughter, help her learn important life lessons, and create memories that’ll last a lifetime. Teach your daughter how to speak with confidence. Even if she’s a raging 10 on the extrovert scale, she still may need a few pointers on how to speak confidently with strangers—especially adults, and especially the ones she’s asking for money. You could even roleplay with your daughter, giving her a chance to practice on you or other family members. That might make her feel more comfortable when she’s ready for the real selling to begin. Help her think outside the cookie box. 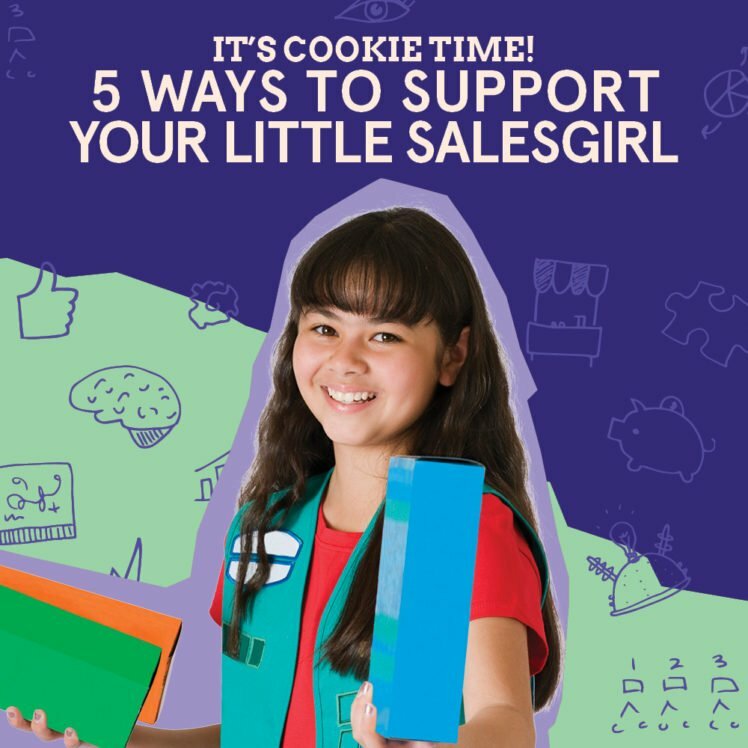 By this, we mean brainstorm selling points with her that’ll motivate customers to buy more boxes, so she’s ready to sell more than just the cookies themselves. Sure, most people love cookies. But there might be other reasons people would be willing to support her and her troupe, as well. Where does the money go? And why cookies—how did this tradition originate and what’s the story behind it? What are her goals and how can she talk about them as she’s selling? People are often motivated to buy cookies because, well, they’re good. But beyond that, they may be motivated by an emotional pull or to support a cause. Help your daughter verbalize what that cause is and how she can communicate it succinctly to customers. Let her “own” her business. It’s so easy to want to step in and do it for her, right? Making the signs or posters, talking to potential customers, setting up a display, helping her write an elevator or sales pitch. But when you take an approach that’s too hands-on, you rob your daughter of the opportunity to learn and grow in valuable life skills. Of course, she needs you for things like spreading the word on social media, or helping to carry boxes, or just supervising her overall efforts—but for the things that she can do, let her. Even if it means facing a little failure in the process. Learning to fail, then get back up and start again is one of the most important life skills anyone can learn. Look for teachable moments. If she’s set a goal that she’s in danger of missing, talk about how to pivot and take a different approach, or maybe reset her goal to be more attainable. If she’s constantly comparing herself to other girls and measuring her success against theirs, it might be a moment to discuss self-worth and learning to be content with her own strengths and abilities. Or maybe she really wants to sell cookies, but she doesn’t want to talk to people—that’s a great time to introduce her to the concept of stepping out of her comfort zone and pushing herself. Be aware of how she’s feeling, what issues she’s wrestling with, and how you can use those things to see the bigger picture and learn important and memorable lessons along the way. Have fun. You’re selling cookies—how fun is that?! This is a great opportunity to connect with your daughter in a meaningful way while enjoying the chance to do something fun with her, support her, and watch her become a strong, confident, considerate young lady. Embrace the process, however imperfect. Put down your phone and give her your full attention. And know this time is precious—it won’t last forever, and one day, she’ll crave more independent opportunities where you become her cheerleader on the side while she ventures down her own path. You have an opportunity now to invest in your relationship in a unique way. Have fun doing so. One last but important thing: We have some awesome tips and great ideas for your daughter, to help her become the best little entrepreneur she can be. To make it easy, we’ve created a convenient cookie-selling tip sheet that you can download and review with her here. Happy selling, and may you savor every cookie crumb along the journey.